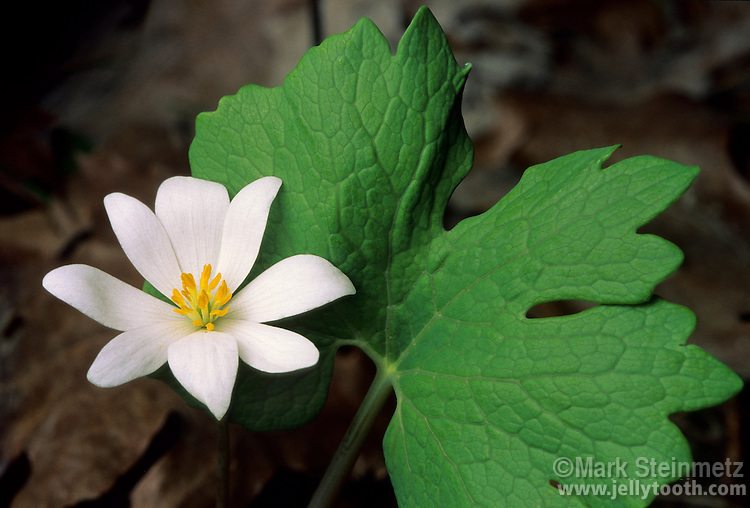 Bloodroot (Sanguinaria canadensis), an early spring woodland wildflower native to central and eastern North America. Each plant produces a single leaf, and a single flower stalk. Petals are very delicate and easily blown off in the wind. Hocking County, Ohio, USA.